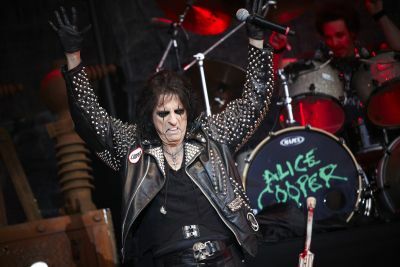 Alice Cooper has announced his Halloween Night of Fear. This will consist of two unique shows to take place at The Roundhouse in London on October 31 and November 1. For both dates, Cooper will be joined by Jim Rose of Jim Rose Circus and Zodiac Mindwarp and the Love Reaction. From today (August 2) through to August 7 only – alicecooper.com will be accepting video submissions of sideshow and freak acts to perform at the show. On August 9 at 7.30pm at the London Dungeon The best acts will be invited to perform in front of a panel of judges including Cooper himself. The freakiest and most outrageous will then become part of Alice Cooper’s Halloween Night Of Fear.